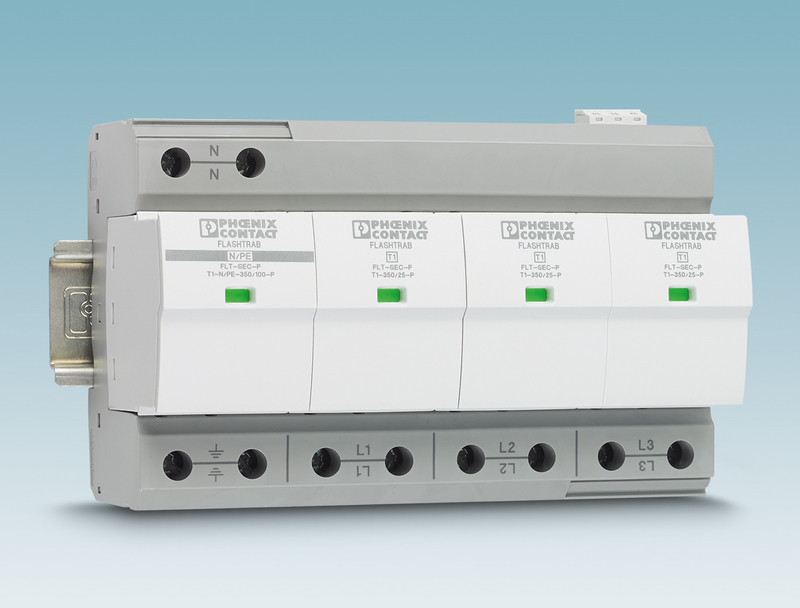 Thanks to the new PTI 4 three-level installation terminal blocks with push-in connection technology from Phoenix Contact, rigid conductors up to 6 mm² can be easily and directly wired without tools. The terminal blocks are specially tailored to the requirements of the electrical installation and the distributor construction, thanks to their compact design. The snap-in, no-screw disconnect slide with status indicator makes contacting the neutral busbar easy and safe. The function shaft on each level provides for easy potential distribution, thanks to the flexible jumper system. Each terminal point can be clearly marked and, in addition to the testing facility, has its own test connection in the function shaft. Thanks to the insertion force, which has been reduced by 50 percent, it is possible to insert solid and stranded conductors with ferrules and cross sections from 0.5 to 6 mm² without tools. The built-in actuation lever allows fully insulated release with any tool. The orange-colored button indicates the actuating element. This prevents the terminal from being activated accidentally. Flexible conductors without ferrules can also be connected, from 0.2 mm by actuating the lever. 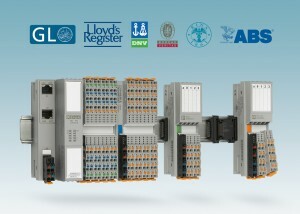 The push-in three-level terminal blocks share all the system characteristics with the CLIPLINE complete terminal block series and are therefore compatible with all installation terminal blocks from Phoenix Contact. 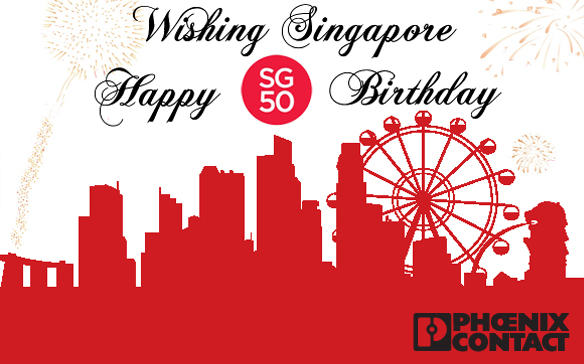 Thanks to Safe Energy Control technology (SEC), the products are durable and powerful. The load of the entire installation is reduced to a minimum in the event of lightning. The lightning arrester combination provides specific protection for installation environments with frequent switching operations. High lightning currents are safely controlled from the spark gap free of line follow current and temporary surge voltages are reliably limited by the varistors. The resulting low voltage protection level and fuse-free use in 230/400 V power supply systems are further advantages of this product range. The compact arrester reduces the effort required for installation and maintenance. All products are pluggable and can be tested with the test device for the Checkmaster 2 surge protective devices. The next generation of Valueline box PCs now offers an entirely new, robust design and new processors in various performance classes. 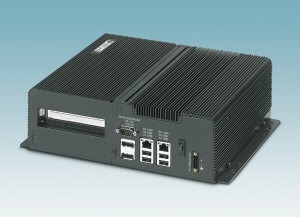 Box PCs are a flexible solution for industrial computer use directly on site. To this end, they are built without a fan. All key components are equipped with maintenance-friendly access points. 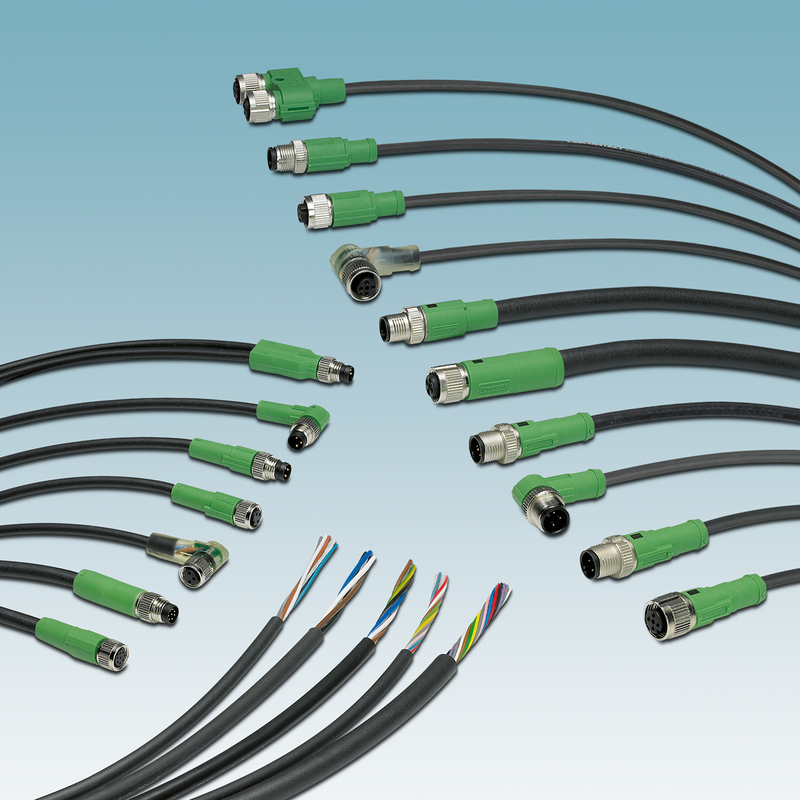 Phoenix Contact now also offers ready-to-assemble cables in PVC cable quality as a standard stock item for sensor/actuator cabling. These cost-effective cables are easy to assemble because even long stripping lengths can be used. They can be applied in all areas with moderate mechanical stresses, such as machine construction. The cables are also distinguished by a high resistance against chemicals and mineral oils. 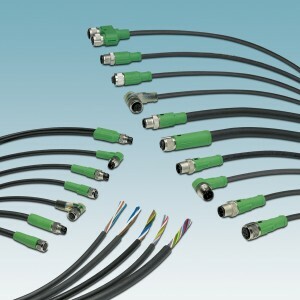 The product range includes SAC cables of types M8 and M12, as well as valve connectors. The 296 newly designed items are in stock and available at quantities starting at one and above. Just like the PUR range of products, the PVC range has a universal UL certification (cULus Listed) for types M8 and M12 and a CSA certification for model A valve connectors. The E-Mobility center of expertise for components, systems, and solutions, which is part of the Phoenix Contact Group, thereby fulfills the high requirements of the automotive industry in terms of processes, quality, and organization. 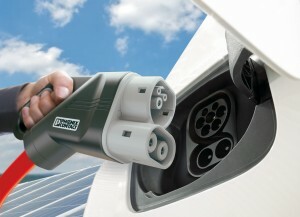 Phoenix Contact E-Mobility develops and produces charging systems and charging controllers for AC and DC charging and is a complete provider of charging infrastructure components, for both static and mobile equipment. In order to comply with the specific requirements of the automotive industry, with regard to development and project work in particular, processes and organization within the company were coordinated and adjusted according to the needs of this guideline. In addition to high standards, innovations, and quality, E-Mobility now boasts a certified management system and continues to excel as a reliable partner in the automotive industry thanks to its consistent approach to customers and service. The Flashtrab SEC-PLUS 440 product variant is particularly suited to special industrial applications with 440/690-V networks or 400-V power supply systems. 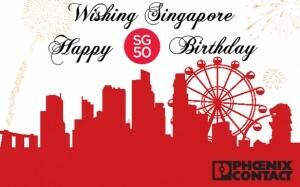 The products impress with their strong shock and vibration resistance. 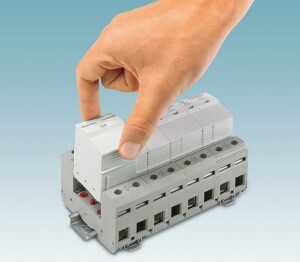 This compact variant can be used up to 400 A without an additional backup fuse. 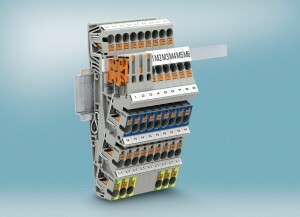 The Flashtrab SEC-PLUS 350 variant is used in the pre-metering area of the main feed, or in industrial applications. High voltage fluctuations and lightning current loads are no problem for the type-1 arrester. The good protection level and backup fuse-free use up to 315 A deliver additional advantages. Both variants are pluggable and can be tested with the CheckMaster 2 test instrument for surge protection devices. Like any other SEC family type-1 arrester, the Flashtrab SEC-PLUS devices are also type-2 arrester tested and certified. Thanks to low noise emission in compliance with EMC Class B and its mechanical robustness, the Axioline F I/O system from Phoenix Contact fulfils the stringent requirements for automation in shipbuilding. As a result, the I/O system has now obtained the approval of all major maritime safety testing associations, including, in particular, the attainment of the BSH certificate and passing the compass test. This certificate allows an I/O station to be installed only a few centimeters away from sensitive standard solenoid compass units. The new XC variants of the I/O system also offer an extended operating temperature range from -40 to +70 °C as well as varnished PCBs. They are therefore ideally suited for use in harsh engine room environments.